Equipped with a double bed of 140 x 190cm and bunk beds. 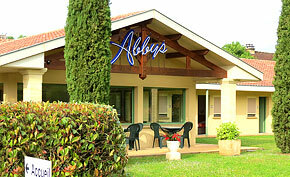 The Abbys hotel has 2 rooms for people with reduced mobility, equipped with 2 single beds of 90 cm and a bathroom fitted according to the regulations. All our rooms have a bathroom with shower, WC, washbasin and are equipped with a flat screen TV with satellite channels, a telephone for calling all the landlines in France and free Wifi. Free parking is available. 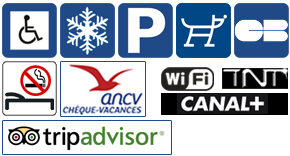 Book an air conditioned hotel room in a comfortable 2 star hotel in Sarlat, in the Dordogne – Perigord Noir area. 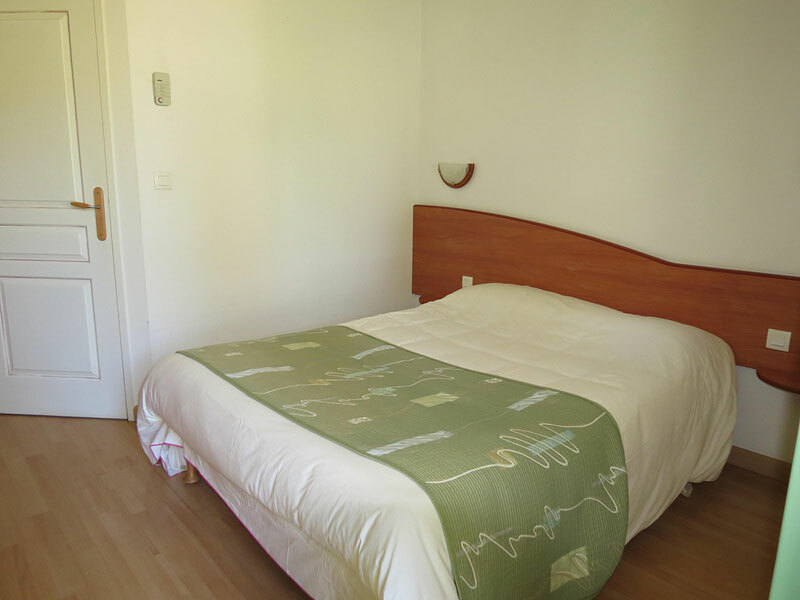 Hotel rooms in Sarlat la Canéda.